Crystals can take many forms, but regardless of their appearance on the outside, inside they have a uniform structure. An amazing, recurring, three-dimensional tapestry of atoms holds the unerring crystalline form. Crystals transmit and receive energies to protect, heal and create love and bring serenity to the home and peace of mind and well being to the individual. Closing ones eyes the crystals come to life, their powers magically showering you with pulsating light. 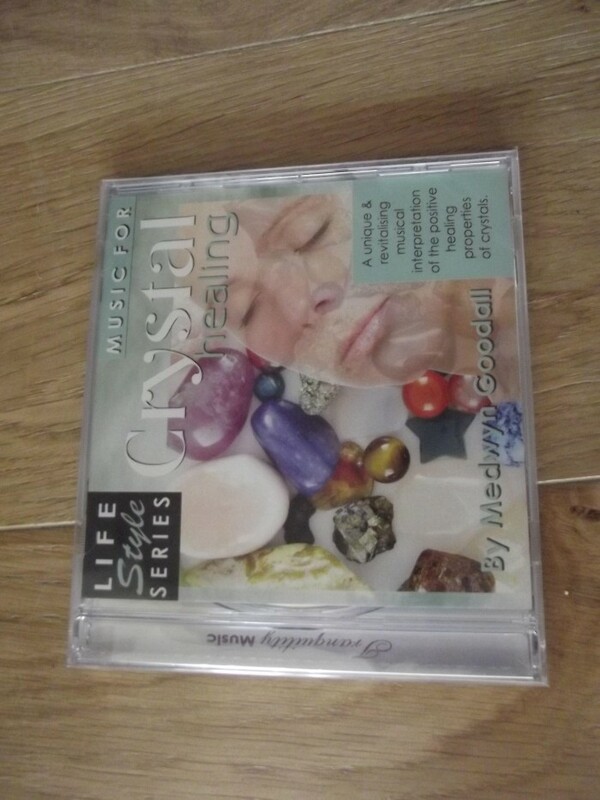 The very essence of the positive healing properties of each crystal is captured in the sound waves, each crystal producing a tone that is all its own. Medwyn has used the very latest in state of the art synthesisers, pulsing waves and sonic healing to create washes of sound that depict the power and characteristics of six crystals in a unique and revitalising way.